Hypnosis, Behavioral Therapy and Biofeedback is organized by UCLA School of Dentistry and will be held from Apr 27 - 28, 2019 at UCLA School of Dentistry, Los Angeles, California, United States of America. 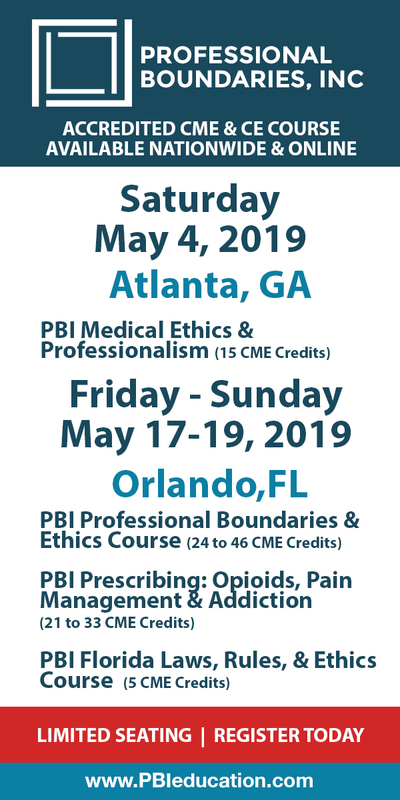 This CME Conference has been approved for a maximum of 14 CDE Credits. Course Description: For over a century, hypnosis has been used as an effective method for the treatment of many issues in medicine and dentistry. In the field of orofacial pain, we are faced with issues whose etiology can often be profoundly puzzling. From bruxism and gagging to TMD and migraine, hypnotherapy has been tested and scientifically proven to be an effective adjunct to traditional therapy. Now hypnosis combined with cognitive behavioral therapy and biofeedback can be used to effectively decrease anxiety, phobias and pain as well as increase treatment compliance and decrease healing time. Attendees will learn the art of hypnotherapy from simple induction techniques to deepening procedures through suggestion methods. Each attendee will receive hands on training in hypnosis as well as biofeedback and cognitive behavioral therapy. Each attendee will also personally experience the state of hypnosis and will learn how to teach others to experience it. Learning Objectives: • Hypnosis, biofeedback and cognitive behavioral therapy • Key definitions and terminology • Training on basic hypnotic procedures: progressive relaxation, visualization, basic deepening techniques, suggestions, hypnotic inductions • Training with biofeedback hardware and software • Application and understanding of basic cognitive behavioral therapy • Management of dental challenges employing these modalities • Anxiety, phobias, gagging, treatment compliance, bruxism, pain management, migraine, TMD • Communication, suggestibility, trust and rapport Additional details will be posted as soon as they are available. Basic Life Support (BLS) For Healthcare Providers Initial Course is organized by SureFire CPR and will be held on Apr 27, 2019 at SureFire CPR - Los Angeles Office, Los Angeles, California, United States of America. The target audience for this medical event is MDs, RNs, EMTs, Dentists, Pharmacists, and Medical Personnel. This class is approximately 3.5 hours. Course Description: The BLS CPR Class covers: • Adult, Child, and Infant CPR. • Conscious and Unconscious Choking for victims of all ages. • Automated External Defibrillator (AED) use and special considerations. • Breathing Barriers, Bag Valve Masks, and 2 Rescuer CPR. • Cardiopulmonary Emergencies and Special Resuscitation Situations. Additional details will be posted as soon as they are available. Basic Life Support (BLS) For Healthcare Providers Initial Course is organized by SureFire CPR and will be held on Apr 28, 2019 at SureFire CPR - Los Angeles Office, Los Angeles, California, United States of America. The target audience for this medical event is MDs, RNs, EMTs, Dentists, Pharmacists, and Medical Personnel. This class is approximately 3.5 hours. Course Description: The BLS CPR Class covers: • Adult, Child, and Infant CPR. • Conscious and Unconscious Choking for victims of all ages. • Automated External Defibrillator (AED) use and special considerations. • Breathing Barriers, Bag Valve Masks, and 2 Rescuer CPR. • Cardiopulmonary Emergencies and Special Resuscitation Situations. Additional details will be posted as soon as they are available. PALS - Pediatric Advanced Life Support - Initial Course is organized by SureFire CPR and will be held on Apr 28, 2019 at SureFire CPR - Los Angeles Office, Los Angeles, California, United States of America. The target audience for this medical event is All healthcare professionals and medical personnel who may respond to pediatric emergencies. This class is approximately 12 hours. Course Description : • The systematic approach to Pediatric Assessment • Management of pediatric respiratory emergencies • Vascular access (Including intraosseous training) • Airway Management • PALS Pharmacology • Basic Life Support (BLS) review • Numerous pediatric case studies and simulations • How to be both a leader and a team member in a pediatric resuscitation team Additional details will be posted as soon as they are available. Cedars-Sinai Special Pathogens Symposium 2019 is organized by Cedars-Sinai Medical Center and will be held on Apr 29, 2019 at Los Angeles, California, United States of America. Target Audience: Critical Care Medicine, Emergency Medicine, Infectious Disease . Accreditation: Credit Designation Statement: Cedars-Sinai Medical Center designates this Live Activity for a maximum of 6.00 AMA PRA Category 1 Credits™. Physicians should claim only the credit commensurate with the extent of their participation in the activity. Conference Overview: The intent of the Special Pathogens symposium is to provide education regarding hospital preparedness for high-consequence infectious diseases to healthcare professionals in Health and Human Services (HHS) Region 9 frontline, assessment and treatment facilities. The purpose of the symposium is to provide education, foster institutional collaboration, and improve relationships with assessment/treatment hospitals within the region. Specific objectives include assessing current global events related to low-incidence, high-consequence infectious pathogens; explaining key elements of the regional concept of operations (ConOps); identifying critical issues relevant for hospital preparedness for emerging respiratory pathogens; describing the role of the National Ebola Training and Education Center (NETEC) in hospital preparedness; summarizing current research and methods to prevent the spread of high consequence infectious diseases; and discussing methods to strengthen hospital preparedness capacity. Conference Objectives: • Assess current global events related to low-incidence, high-consequence infectious pathogens • Assess current research and methods to prevent the spread of novel respiratory pathogens • Describe the role of the National Ebola Training and Education Center (NETEC) in hospital preparedness for low-incidence, high-consequence pathogens • Identify methods to strengthen hospital preparedness capacity for emerging respiratory pathogens in Region IX • Recognize the key elements of the regional concept of operations (ConOps) regarding transport and management of patients with suspected or confirmed low-incidence, high-consequence pathogens • Identify critical issues relevant for hospital preparedness of emerging respiratory pathogens Additional details will be posted as soon as they are available. Basic Life Support (BLS) For Healthcare Providers Initial Course is organized by SureFire CPR and will be held on Apr 30, 2019 at SureFire CPR - Los Angeles Office, Los Angeles, California, United States of America. The target audience for this medical event is MDs, RNs, EMTs, Dentists, Pharmacists, and Medical Personnel. This class is approximately 3.5 hours. Course Description: The BLS CPR Class covers: • Adult, Child, and Infant CPR. • Conscious and Unconscious Choking for victims of all ages. • Automated External Defibrillator (AED) use and special considerations. • Breathing Barriers, Bag Valve Masks, and 2 Rescuer CPR. • Cardiopulmonary Emergencies and Special Resuscitation Situations. Additional details will be posted as soon as they are available. Learning Implant Dentistry for the Restorative Dentist - Part II is organized by Herman Ostrow School of Dentistry of University of Southern California (USC) and will be held on May 04, 2019 at Herman Ostrow School of Dentistry of USC, Los Angeles, California, United States of America. The target audience for this medical event is Dentists. This CME Conference has been approved for a maximum of 7.00 Continuing Education Credits. Course Description: Successful implant osseo-integration is well documented over the past forty years. In this course, participants will learn the most predictable manner to diagnose and treat patients presenting missing teeth with dental implants and their restoration. Aspects of treatment planning will be discussed and conventional dentistry vs implant dentistry will be compared. 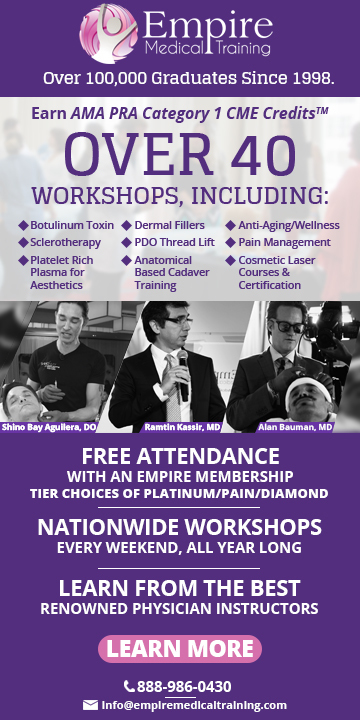 Participants will become knowledgeable about CT scan, radiographic and surgical guides, implant components, implant provisional restorations and screw retained and cement retained restoration. Part I is designed for those that wish to begin implant treatment for their patients and those that would like a better basic understanding of dental implants. Part II of "Learning Implant Dentistry" is designed for the dentist who has some experience with implant dentistry and would like to improve their knowledge and skill with implant treatment planning, soft tissue manipulation, and final implant restorations. Single and multiple unit restorations will be discussed along with treatment planning implants and natural teeth for optimum results. The advantages and disadvantages of Implant impression techniques will be presented so that the practitioner can become confident with any impression technique. Cement retained vs. Screw retained implant restorations will be presented and recommendations will be given for various situations. Course Topics: • Treatment planning for single and multiple unit implant restorations • Cost benefit analysis of teeth vs implant restorations • CT Scans- planning for restorative driven implant placement • Radiographic/Surgical Guides- what to look for when evaluating guides • Implant Components for Restorative Dentistry • How to form the gingival tissues around Implant restoration • Screw retained Implant provisional restorations • Advantages and disadvantages of cement vs screw retained implant restorations Learning Objectives: • Know how to treatment plan single and multiple unit implant restorations • Know how to manage and manipulate soft tissue esthetics around implant restorations • Understand the cost-benefit analysis between natural teeth and implants • Become familiar with various implant impressions techniques, stock and custom • Understanding submucosal implant form • Understand the financial implications of implants vs conventional dentistry • Know treatment sequencing of implants and natural teeth Additional details will be posted as soon as they are available.